Lock in a great price for La Posada del Viajero – rated 8.9 by recent guests! The staff were super nice and knowledgeable. The room was clean. And the location was close to central. Amazing. Arranged taxi’s for us to be picked up and dropped of at the airport, which was excellent after 24 hours of travel. We had an early morning expedition and there was a small snack packed, waiting for us. The area was very close to everything and the food recommendations were great. My Spanish is poor,” (that’s being nice) and they staff was able to help in every way. Highly recommend staying at La Posada del Viajero!! The history of the place: Hiram Bingham used to stay there and that it was owned by the person on whose land Machu Picchu was discovered. 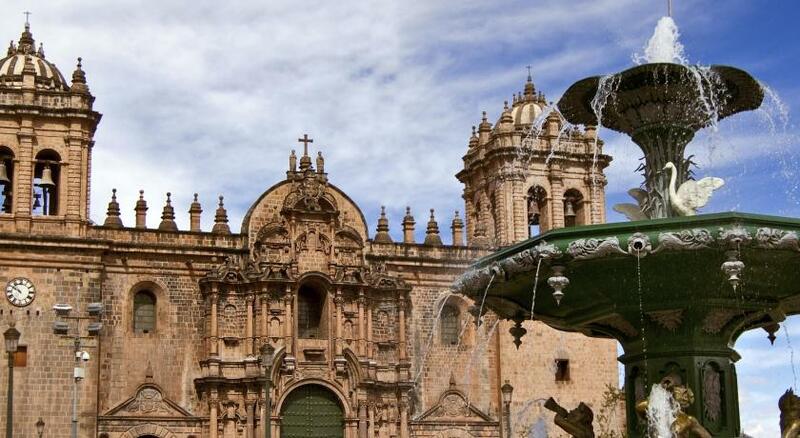 The location is perfect for exploring old Cusco. The beds were very soft and the staff were the sweetest and most helpful. The WiFi was extremely good compared to all other places I've been to in Peru. The bathrooms are clean and the tours that we booked through the hotel was definitely enjoyable and worth the price. (Sacred valley for 70 soles). The staff was amazing. They answered all my questions via email and helped with a lot of thecstay in Cusco. In person everyone was friendly and nice. The location was fabulous, just off the main square. The staffs are very nice and really sweet! They even helps me send the post card, I am really appreciated. The location was good, breakfast was good. The staff was very nice and helpful. Hot water to drink 24/7. Staff friendly. Excellent location. Loved the staff!!! Great location, interesting hotel design, cozy sitting places to visit with friends, delicious breakfast and perfect location for everything in Cusco. The best part was the staff. These girls were so nice to us that it really made us feel welcome and help us enjoy our time in Cusco much more. Located 1,650 feet from the commercial and financial area in El Sol Avenue, La Posada del Viajero offers accommodations in Cusco. Free Wi-Fi access is available here. Rooms at La Posada del Viajero feature a TV and a private bathroom. Linen is included. A buffet breakfast is offered daily for free. Guests will also find a shared lounge and TV area as well as free luggage storage. Guests can book tours at the tour desk and transportation to and from the airport is available for an extra fee. La Posada del Viajero sits 1,000 feet from Cusco's cathedral. Alejandro Velasco Astete International Airport is a 15-minute car ride away. 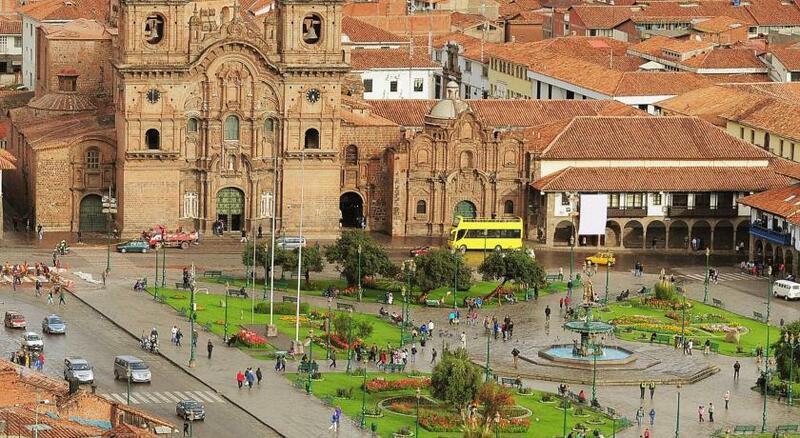 뀐 Located in the real heart of Cusco, this property has an excellent location score of 9.7! When would you like to stay at La Posada del Viajero? Rooms are 12 square yards and feature a TV. Rooms are 14 square yards and feature a TV. Rooms are 22 square yards and feature a TV. La Posada del viajero is known for being a place where people feel at home, we have no frills, but we have a worm and cozy environment and we are willing to help you in any way you need to ensure a pleasant stay. House Rules La Posada del Viajero takes special requests – add in the next step! La Posada del Viajero accepts these cards and reserves the right to temporarily hold an amount prior to arrival. Please inform La Posada del Viajero of your expected arrival time in advance. You can use the Special Requests box when booking, or contact the property directly using the contact details in your confirmation. The temperature of the showers was never very consistent. Either extremely hot or cold. The staff is very accommodating. They made it easy to book taxies to different sites and having water and coca tea on site was great! Everything was perfect. Location could not have been better. Felt homey and was full of Peru flavor. Charming cosy place close to everything in Cusco. Staff were super helpful. Loved the complimentary lunch box in lieu of breakfast when we had to leave the hotel early! Great value for money. The only thing I don’t like was probably the blanket was too thick and heavy, had to take it off or it would be too hot (March). Had some plumbing problems, but the staff dealt with it professionally. Doors into bathrooms are short...older hotel. Expected to have quirks. This is not a Hilton, it is a nice hotel with lots of history...Hiram Bingham used to stay here. Great location and gives cultural experience. Loved it. The hotel is cute and the location is perfect. Very friendly helpful staff. Location is perfect in the middle of town. Beds were a little hard, leaking ceiling outside our room made it smell like mold.